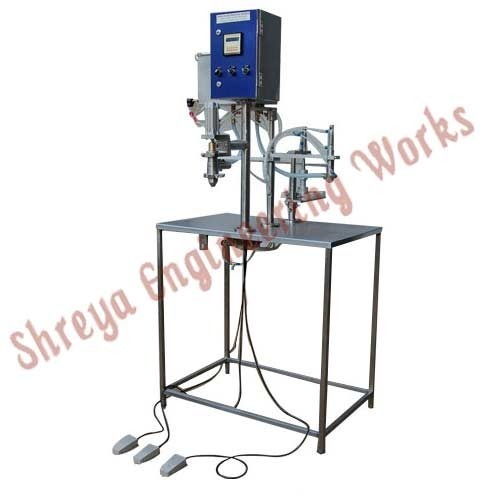 With our vast experience and knowledge, we are engaged in manufacturing and exporting an exquisite range of Filling Machines to meet the demands of our customers. Filling quantity 50 ml minimum and up to 200 ml. Our filling machine can fill varieties of Ice Cream such as plain or with Ingredients or with Ripple using required attachments offered with the machine. The design & specifications of the machine illustrated herein are subject to change without notice. Our RTF-10 can be filled varieties of ice cream such as plain or with ingredients or with ripple using required attachments offered with the machine separately. Our expertise also helps us in manufacturing quality range of ice cream cone filling machines. These are manufactured using SS-304 or food grade material. 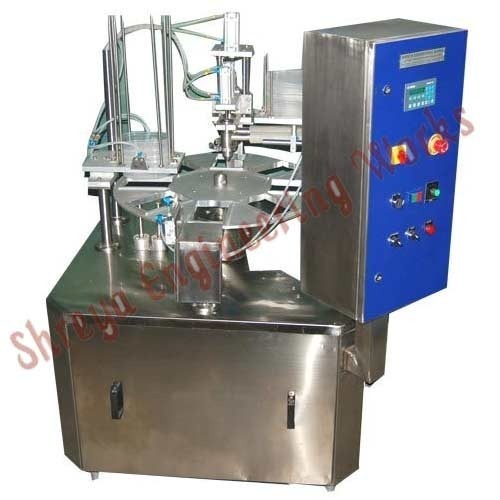 The filling machine is used to fill varieties of ice cream such as plain, with ingredients and with ripple. The output of the machine is 1500 cups/cones per hour and is suitable for 150 liters/hour freezer. However, the maximum filling capacity is of 3000 cups/cones per hour and is suitable for 300 liters/hour freezer dispensing of cups. Note: All the pneumatic components are Festo make only. Air compressor will not be supplied with the machine. Dry and moisture free air required for the machine. The design & specifications of the machine are subject to change without notice. 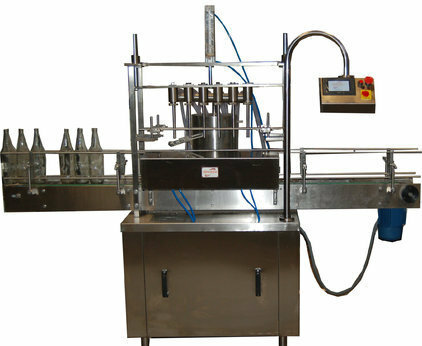 This machine can be filled with varieties of ice cream such as plain or with ingredients or with ripple using required attachments offered with the machine separately. Volumetric ice cream filler is the part of this machine. 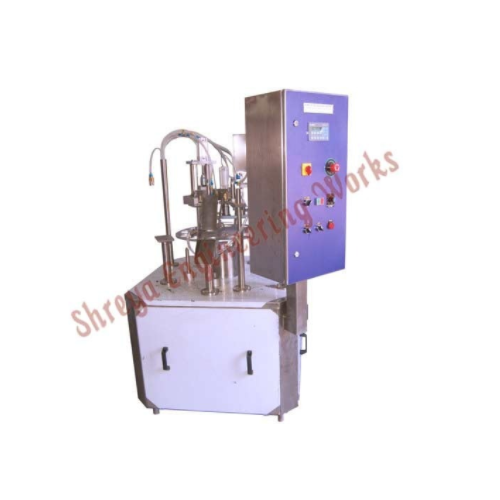 This machine is easy to operate and adjustable filling volume. CIP cleaning simple piston and cylinder design. A volume of chocolate spray, ice cream, and chocolate topping can be adjusted by plc. Semi skill person can be filling the ice cream in cones. 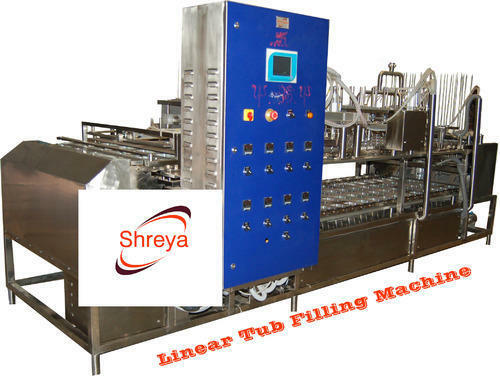 We are suppliers of Liner Tub Filling Machine, it can be filled varieties of ICE CREAM such as plain or with Ingredients or with Ripple using required attachments offered with the machine separately. 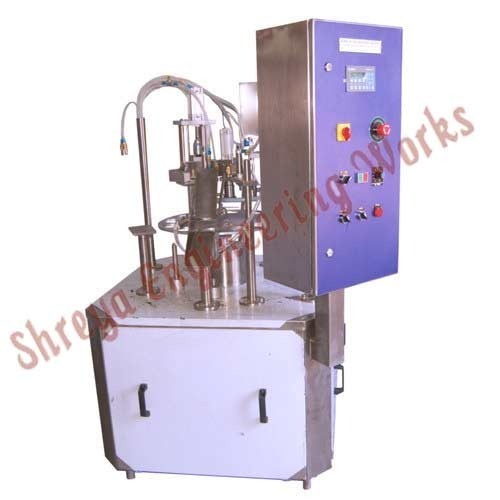 Milk / Liquid Filling Machine With Ultra Violet System.